- Courts awarded $2.2 million to law enforcement agencies in 827 disposed cases. - In a quarter of the cases filed, criminal charges were not brought against the person whose property was seized, resulting in the forfeiture of more than $670,000. 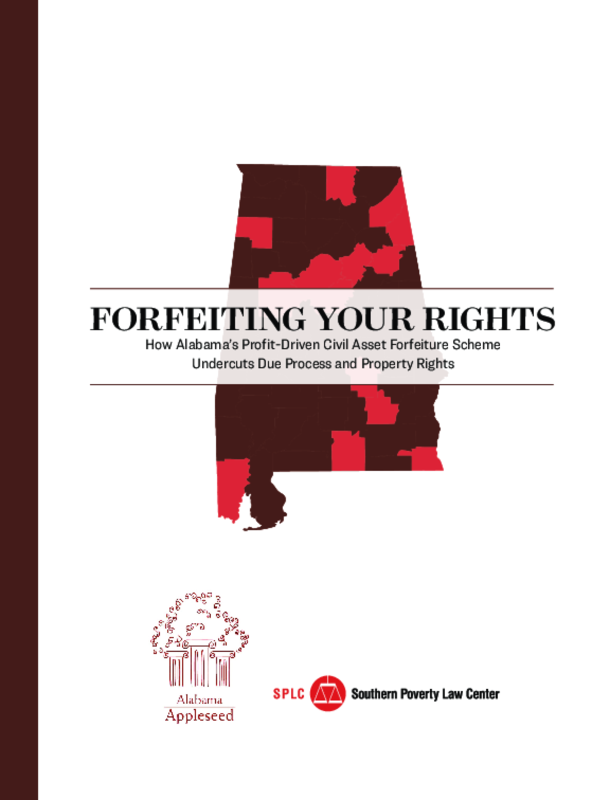 - The state won 84% of disposed cases against property owners not charged with crime. - In 55% percent of cases where criminal charges were filed, the charges were related to marijuana. In 18% of cases where criminal charges were filed, the charge was simple possession of marijuana and/or paraphernalia. - In 64% of cases where criminal charges were filed, the defendant was black (African Americans comprise 27 percent of state's population). - In half of the cases, the amount of cash was $1,372 or less. Copyright 2018 by Southern Poverty Law Center. All rights reserved.